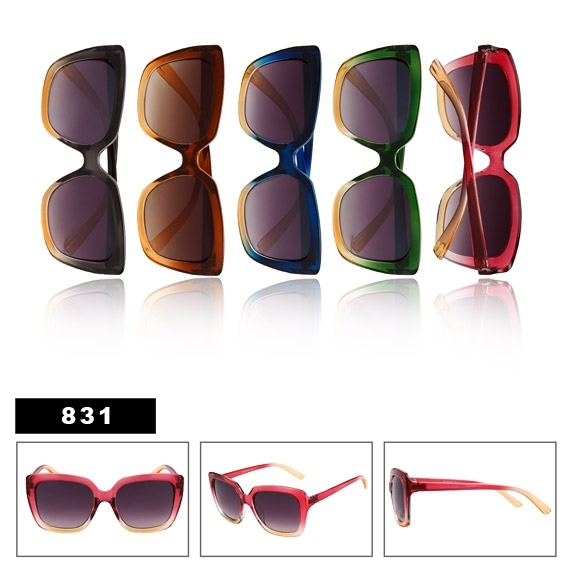 Ladies Fashion Sunglasses Wholesale, with pretty 2 color frames in assorted colors. This model has a large, elegant square frame shape. (12pcs.) Inspired by Bolle-9718 (12pcs.) Inspired by Nike-12110 (12pcs.) Designer Eyewear - DE534 (12pcs.) Kids Sample Pack-SPK1.